A new open-source project wants to help Android developers work with GraphQL queries. The Apollo Android Graph client is designed to generate Java models from standard GraphQL queries. “These models give you a typesafe API to work with GraphQL servers. Apollo will help you keep your GraphQL query statements together, organized, and easy to access from Java,” according to the project’s GitHub page. The solution features code generation, network calls and caching, RxJava wrappers, and optional support. Red Hat released the latest version of its Kernel-based virtual machine powered enterprise virtualization platform, Red Hat Virtualization 4.1. The big enhancement in this release is a deeper integration with Red Hat’s portfolio of open hybrid cloud technologies, according to the company. The latest release includes extended support for Red Hat CloudForms and Ansible by Red Hat. There is also tighter integration with the Red Hat OpenStack platform, with continued alignment with Red Hat Enterprise Linux 7.3. Additional capabilities include improved automation with Ansible, and advanced storage performance and scaling with the Storage Pool Manager. 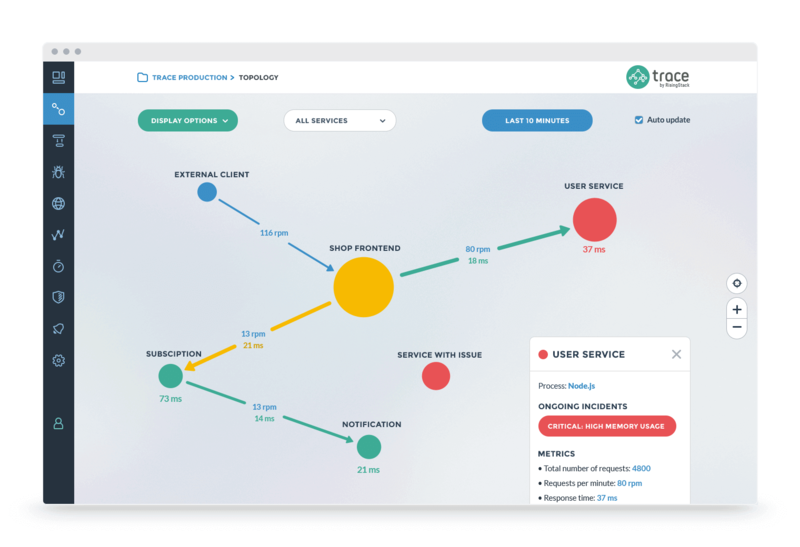 RisingStack announced that its Node.js debugging and monitoring tool Trace is now available to use for open-source projects for free. Trace was launched a year ago with the intention to help developers looking for a Node.js APM. Along with the open source offer for the developer community, RisingStack is launching its commercial Node.js Support Business. This product is aimed at enterprises with Node.js applications running in the production environment, according to the company. Developers can learn more about RisingStack’s open-source tool here. Despite advancements in machine intelligence, self-driving cars, and robots, humans are still pretty skeptical of the technology. This comes from research by OpenText, an information management company, which examined consumer reactions to AI, and its impact on human lives. The research was based on answers from 3,000 consumers ages 18 through 65+. According to the research, 54% of respondents do not feel comfortable with the idea of working with a robot. Also, 76% of respondents would discourage their employer from “hiring” a robot if it meant reducing their day-to-day work. Respondents do not feel comfortable being a passenger of a driverless car (70%) and they said they would get frustrated if they were driving in or following a driverless vehicle that obeyed every traffic law without question (63%).